Your Playstation 4 has stopped reading games and requires the drive to be serviced and the lens to be replaced. We will strip the console and drive, replace the lens and carry out a service/clean of the Blu Ray drive. We will also test the drive for any mechanical issues before completing the repair. The console turns on for a split second shows the blue strip then turns off again. This is known as the blue light of death (BLoD). The console is suffering from a general hardware error. The most common issue is with the main CPU/GPU BGA. We will carry out a full repair of this component, an internal clean and replace thermal compound. Physical damage to the HDMI port is very common due to accidental damage. We will strip the console, remove the old HDMI port and solder a new one in place. The console will then be fully tested and returned working. Console shows no sign of life, won't turn on doesn't make the usual noise when trying to power on and no lights turn on. 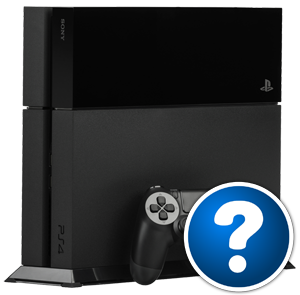 We will strip the console, diagnose the issue and replace the problematic part or component. Your drive has stopped feeding games, or there is a game stuck inside, then you require the drive to be serviced by one of our skilled technicians. We will strip the console and drive, replace/repair any broken gears or runners and get the drive up and running again. This repair doesn't include replacement of the lens. We can replace the internal hard drive with a 1TB model instead of the standard 500gb, if you are wanting an upgrade done then the data will be copied over to the new drive at no extra cost. 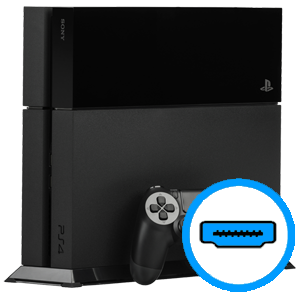 If you are replacing the drive due to a fault and the console doesn't boot to the Playstation dashboard then there is no possible way to copy data over. You have an unknown fault with your Playstation 4, for example the system powers on but beeps several times, or the system powers on but does not display anything on your TV. These are common hardware issues that can be easily resolved once we have identified the faulty part. We will contact you with a total price for repair once our technicians have examined the system. Your Playstaion 4 is needing repaired or replaced but your home insurance requires a quote to process your claim. We can provide you with a detailed description on letter headed paper that will meet your home insurance policy requirements.